Thank you for taking the time to visit our Wedding Website. We hope for it to be a convenient & fun way for our family and friends who are both near and far to stay up-to-date on all our wedding plans & details. We appreciate that going to an abroad wedding takes much effort on your behalf so we endeavour to make your trip as enjoyable and as easily planned as possible. We really hope you will be able to celebrate with us; but we completely understand if you are unable to attend. For those of you who are able to make it, we appreciate the time & effort you are taking to be with us and we look forward to seeing you in Portugal. THURSDAY 14TH - MEET & GREET! We invite you to join us in "Parrilla Natural Restaurant", Vale do Lobo from 8pm for a drink and a chance to meet everyone else over for the wedding. 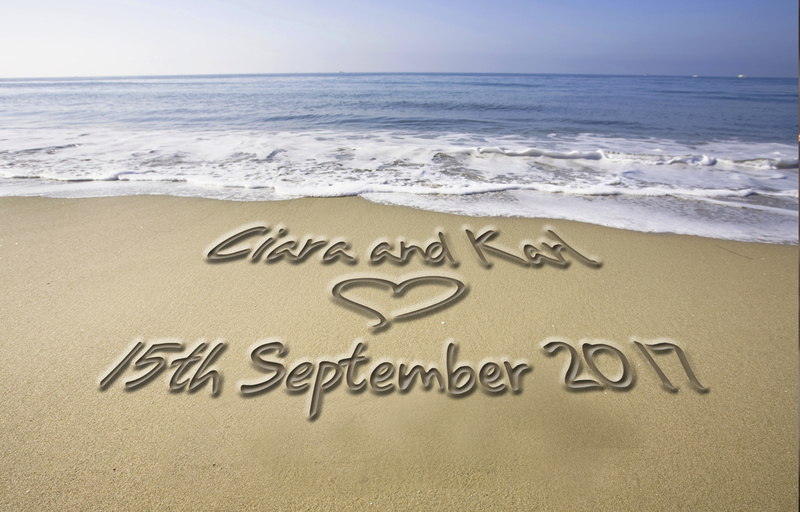 FRIDAY 15TH - OUR BIG DAY! Our Wedding Ceremony is at 1.30pm in Cacela Velha Church. After the ceremony buses will depart Cacela Velha Church at 3.30pm sharp and take everyone to Panoramico, our wedding venue for a drinks reception followed by a meal, live music and dancing all night long! Buses will be provided for your return journey at the end of the night. For anyone wishing to leave earlier there will be a local taxi service available. We would love if you could join us for some fun & drinks in The Shack, Quinta do Lago Lake from 4pm. There is a variety of water sports and leisure activities on the lake available until 6pm so why not come early and enjoy the fun. The Shack itself is a Bar & Restaurant with a real Beach Bar vibe to it so the ideal spot to grab a bite, enjoy some drinks and watch the sunset. There is a wide range of accommodation options in Vale do Lobo, Quinta do Lago, Vilamoura & Almancil. Some of the more popular places are listed below. Location of our Wedding Day pick up points are outlined above in the "Details" Section. To book send a private message to Susana on the below Facebook page. Please notify us via the RSVP form if you are Vegetarian/Vegan or have ANY dietary requirements as this information is needed in advance. We'd love to see our Big Day through your eyes! Simply hastag on Instagram any pictures you take with #ciaraandkarlwedding and they will automatically appear in this section for everyone to view! Please respond before Monday 14th August 2017. Thank you!